Since it introduced at the annual Google I/O conference, Project Soli has been trending on the Internet. Project Soli is one of Google's latest cutting-edge experiments that could actually transform the way humans interact with technology. Project Soli is not a wearable watch you might think it is. So what is Project Soli? Yes, you heard it right. Google's secretive Advanced Technology and Projects group (ATAP) who is working on Project Soli, knows that our hands and fingers are the best way we have to interact with smart devices, but the fact here is — everything is not a device. 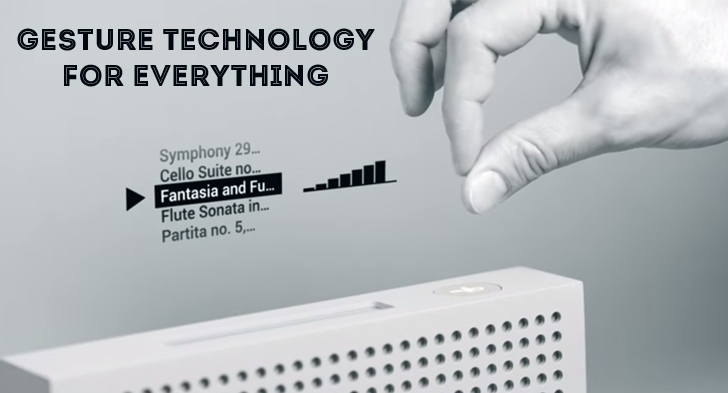 So Project Soli wants to make your hands and fingers the only user interface you will ever need to interact with technology, even without the need to touch anything to control it. This is what ATAP group is developing for the future consumer electronics, from smartphones and televisions to appliances and other everyday objects. There are already things like Kinect and Leap Motion in the market, but Project Soli will use advanced chip and sensor technology to bring things to the next level. To make this happen, Project Soli uses a tiny radar that is small enough to fit into a wearable device such as a smartwatch or a fitness band. The small radar detects precise finger movements or finger "micro-motions" and enable better control by gestures. The technology sounds similar to some science-fiction movie in which characters tampered with virtual objects by moving their hands or fingers gracefully in the air. The system uses broad beam radar, IQ, and spectrogram. The radar can capture motions of your fingers at up to 10,000 frames per second, which is something that has never been done before. The final chip contains everything it requires to be plug and play including the antennas. However, the team is still working to finalize the board, which is to be about the size of a small computer chip. Moreover, it is important that the signals make sense to a particular app or service, and for this to be done, ATAP will have APIs that tap into the in-depth machine learning of Project Soli. Project Soli is still in its early days, but if successful, Project Soli will make user interfaces more intuitive and easy to use by making your own hands the UI. Soli information will be released to developers later this year. This new way to interact with technology could completely change the way we interact with any hardware in our homes. The future is exciting. What do you guys think? Hit the comments below.